We can’t say thank you to our volunteers often enough! Thanks to their commitment and enthusiasm, Code Clubs are now reaching more children than ever across the UK, and around the world! I have been a software developer for the past 8 years and got into coding when my parents bought our first home computer when I was at comprehensive school (16 years ago). Growing up – unless you went on to college or university – there was never really anything out there that was fun and simple to pick up which could help teach children about coding. I have four children so the idea of being able to help set-up a Code Club at our local school was amazing. It’s great to have free things like Code Club about which I hope my children will eventually benefit from. 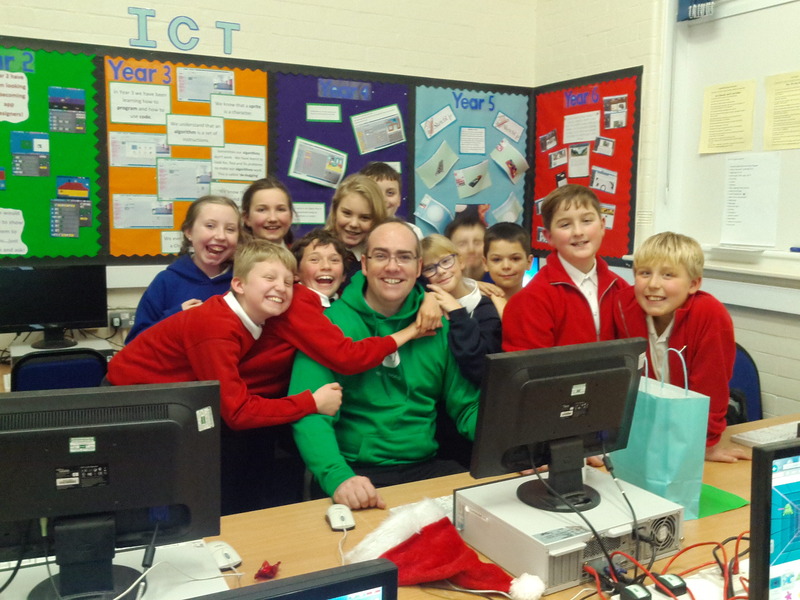 Code Club has been running for 15 months at Gorseinon Junior School. We typically have 10-16 children attend and is run by myself and by one of the teachers, Mrs Griffiths. It was surprisingly easy to get members to our club, all the children were excited to take part in the after school club. The children each have a laptop and have completed Scratch term 1, 2 and we’re now on to HTML & CSS. We’ve even had children pair programming, which went down really well. I’m surprised by how easily the children have picked things up and gotten through the projects, it’s great to see that so many of the children are also girls as there seems to be a shortage of lady programmers, and they are all really enjoying it! The satisfaction you get from seeing a child so pleased that they’ve created a project all by themselves is priceless. All the children really love the club and its projects. It’s great to have the opportunity to be able to help run a Code Club at the school which may also inspire other children to get involved as well as other schools in the community. Tech is becoming a key industry for South Wales and with coding being a big focus within Swansea and Welsh education at the moment I’m really keen to help in whichever way I can. It’s great to be able to help set-up a Code Club and give children these fantastic opportunities that I wish I’d had when I was their age. Truthfully it’s tough to fit in as I have 4 children, my wife works evening shifts, I have a day job as a software developer, run a monthly tech meet-up and also a yearly software developer conference so it can be a bit tricky at times… That being said, it’s such a great thing to have at our school and I find each session so satisfying that I don’t mind, seeing the joy on the children’s faces getting through the projects is worth it and I know they are very grateful to have great opportunities like Code Club as they are forever thanking us. It sometimes appears like the children are just rushing through projects and I was initially worried they may not be actually learning much. This was all proved wrong when a child lost their work from a project and had to redo it all. The following week he came in and had developed a game built on some of the things he’d learned from the project. This was a great moment, especially when he gave a demo to the other children on the carpet and ran a mini code review! We are always looking for more people to start Code Clubs in their local community, and help inspire the next generation to get excited about digital making. Find out more about getting started here. #VolunteersWeek: It’s been a blast! We have had a fantastic Volunteers Week 2015, with loads of great meet ups in London, Birmingham, Leicester, Aberdeen and Bristol. We also held our first inter-generational coding session at the Google Garage in Leeds, with members of Little London Primary’s Code Club and Age UK’s Silver Surfers. It was a great event highlighting the excitement of digital making for all ages. We want to take this opportunity to say another huge thank you to all of our super talented, super awesome volunteers for the work that you do inspiring the next generation to get excited about computer science. I’m a programmer, and I am very enthusiastic in both learning more myself, and teaching others. Passing my skills on to the next generation seems like an amazing way to do just that! Programming can be fun and rewarding both as a hobby and as a job, so I believe it’s a great skill to teach. In addition to this, code club sessions focus on students working together and helping each other, which also makes them fun and useful at teaching important life skills. My favourite thing about Code Club is seeing my students’ enthusiasm. I love seeing them experiment with Scratch and trying their own thing, building on top of what is shown in sessions. What would you say are the benefits of volunteering for Code Club/ volunteering in general? Volunteering looks great on a CV, plus it’s fun and it’s a way to learn new skills and meet new people! It provides me with a way to share my skills, and it’s a great chance to do something different and break the daily routine. Plus it may make more people interested in programming, which is something the field needs! How does volunteering fit into your schedule/daily life? 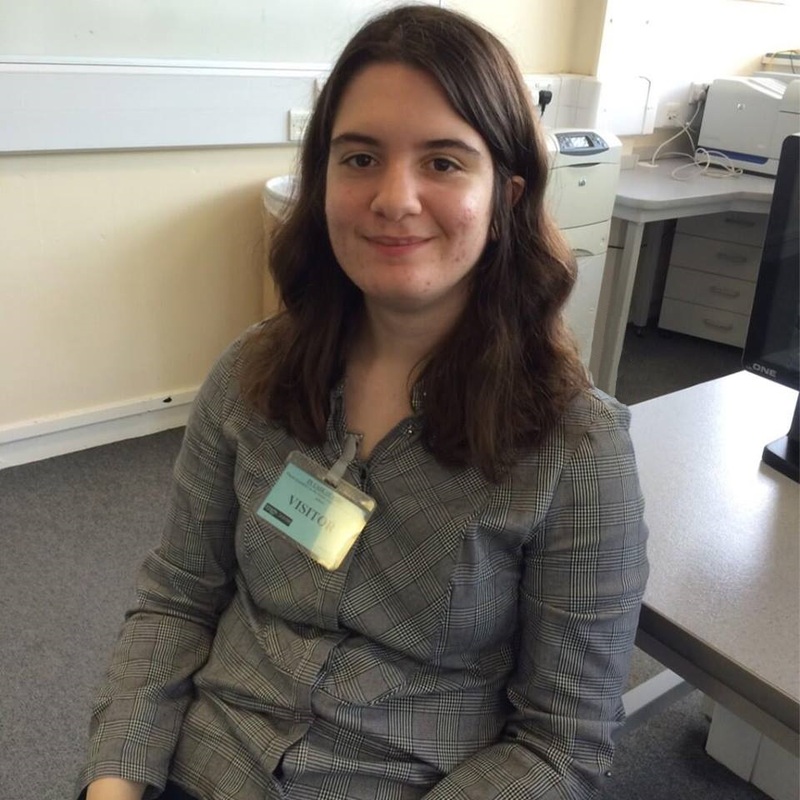 My employer, Shadowcat Systems, provides me with the ability to run Code Club during work hours, which makes it much easier, giving me the ability to commute from Lancaster and run the club without having to worry about lost work hours. We always want to celebrate our volunteers & their clubs. Got a story to share with us? Get in touch – we love hearing from you!